Lightweight and rugged, the 20+ has a 100-message capacity! 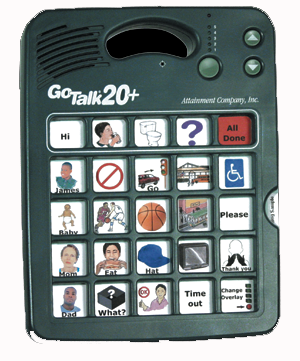 The GoTalk 20+ is lightweight and rugged, like all GoTalks, and now has a 100 message capacity (20 keys, each 1-inch square, and five recording levels). PLUS five “core messages” which stay the same on each level so you don’t need to re-record essential messages for each level. GoTalks provide fantastic sound with volume control, easy sequential recording, a unique function to quickly erase a level, built-in overlay storage, record lock, level lock and 2-year warranty. 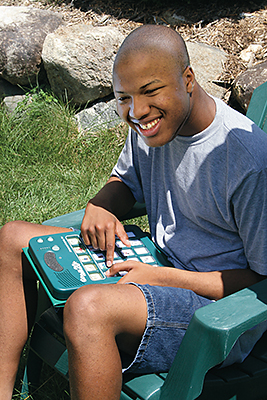 It’s a GoTalk so it’s easy-to-use and affordably priced! Size: 9 x 12 x 1⅛ inches. Weight: 23 oz. Two AA batteries and 2 year warranty included. 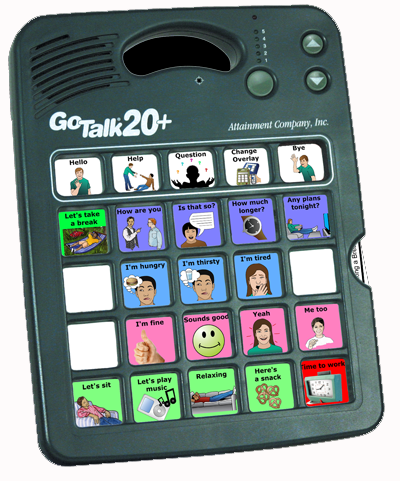 Save money when you buy the GoTalk 20+ with the GoTalk Overlay Software to quickly create great-looking, personalized overlays! 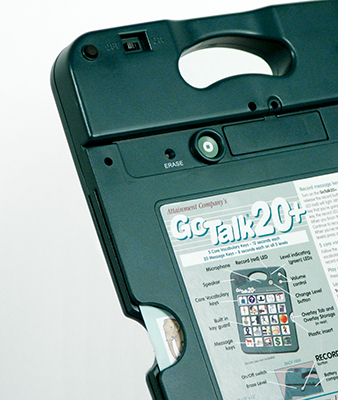 Or purchase the GoTalk 20+ Package that also includes the GoTalk Carry Stand.